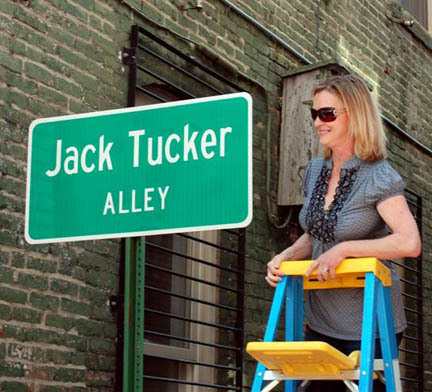 Cyndy Grivich Tucker unveiled the marker designating Jack Tucker Alley. Comments by his friends and a tour by Jimmy Ogle and Keith Kays were a 101 course on what preservation and good design have meant to downtown revitalization. The principles guiding Jack's work might be summed up as keep it simple, keep it real, keep it functional and always pay attention to the details. 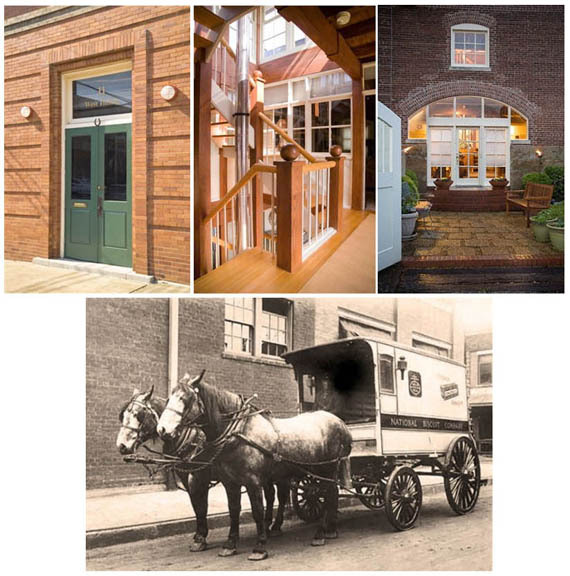 They are the principles that protected "his" alley's character and prevented the authentic cobblestones from being replaced by fake Bomanite replicas, and the same principles that guided Jack's suggestions on the best way to restore our historic Cobblestone Landing, a project now threatened by a design that calls for regrading the landing's slope and using riprap along the landing's toe. Here are photos of some of Jack's work downtown that illustrate his design principles. Convention & Visitors Bureau, Timpani Building, and Streetscape on Union along Cotton Row - The sidewalk steps to change levels and single rather than double rails are important details in creating one of Memphis's most pleasant streetscapes. 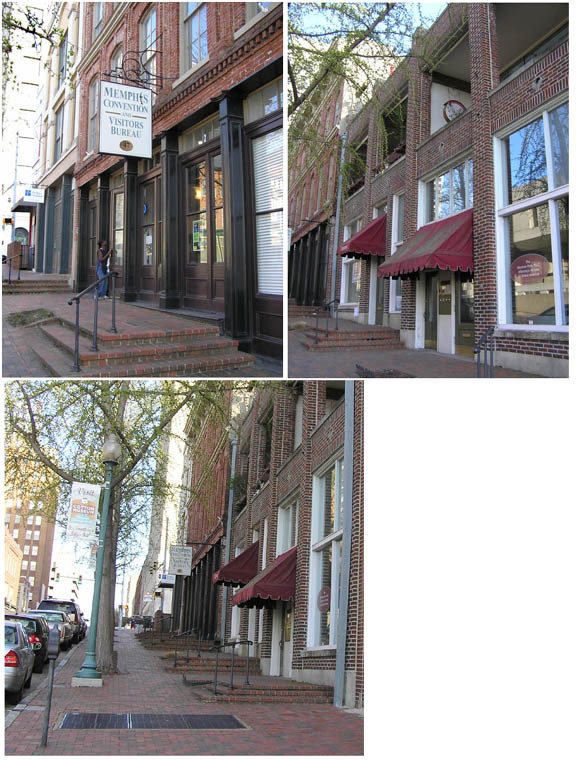 At the Timpani Building, carving balconies out of the upper floor bays rather than sticking them on the building's facade provide the outdoor amenity while protecting the building's historic integrity. Bluffwalk Bridge over Beale - The scale, design and materials provided an unfussy walkway. National Biscuit Factory - This hidden gem on Huling was restored as a photography studio, office, and home that the owners call perfect in every detail. 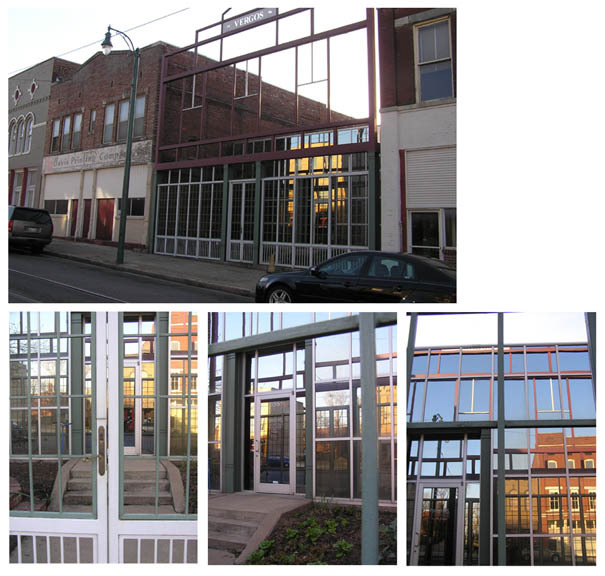 Vergos Building - Located on N. Main in the Pinch District, the new building was an affordable design to serve a modern function in a historic neighborhood. Through its layered approach, the design filled a hole in the streetscape and reflects its historic neighbors.